I hope all of you had a wonderful holiday. Things are finally getting better for me I've been going through a lot. Hopefully I will get back to crafting soon. I’m still here my family is going through some difficult times it all started last year when my husband lost his job. He had not been able to get another one due to it being just before the holidays. To make a real long story short we went through all of our savings and he had to apply out of state, as soon as he did he got an offer which we were very thankful for. The only problem is it’s in South Carolina and we live in Michigan the pay is a lot less and they are not paying for our move. So I’ve been selling some of our things so we can move also no insurance till December which is a problem because I have asthma and allergies. He started this job in Sept. He has been living there while I and two children are here trying to pack and do a short sale on our home. Lucky for me my son and daughter are older so that helps a lot, but it’s still been a very trying time in our life. 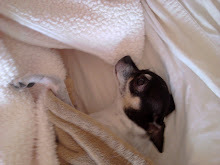 I have been sick twice and my dog had to have surgery on his leg which I had to put on credit all while going through this crisis it’s just been one obstacle after another I really hope things get better soon. Please hang in there with me I will be back to crafting when we move and get settled I just haven’t felt like making anything with all that’s been going on. •For just $99, choose up to $125 worth of brand-new products from the annual or holiday catalogs, for your completely customizable Starter Kit! •Get a FREE Howl-o-ween project kit valued up to $60! Tomorrow is me and hubby's 21st Anniversay. 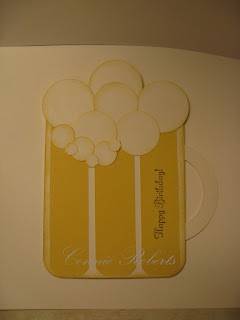 I made the glasses on this card using the Sweethearts cricut cartridge. The rest is Stampin Up. 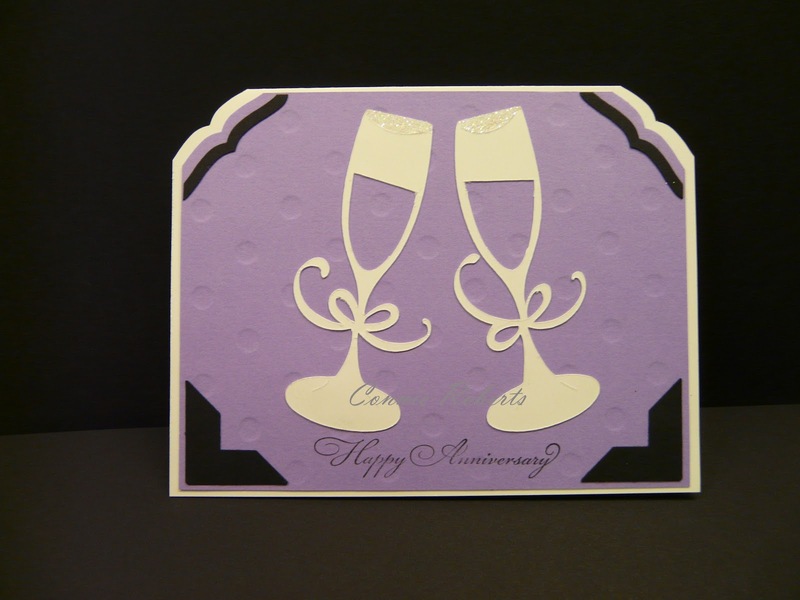 Cardstock Whisper White,Basic Black,Lavender Lace (retired). Punches used Decorative Label and Photo Corners (retired). Stamp set used Something to Celebrate (hostess). This is a card I made for my son's 27th Bday! I got this idea from Tami White http://vimeo.com/channels/stampwithtami. I decided to make the whole card into a mug it opens with message inside. 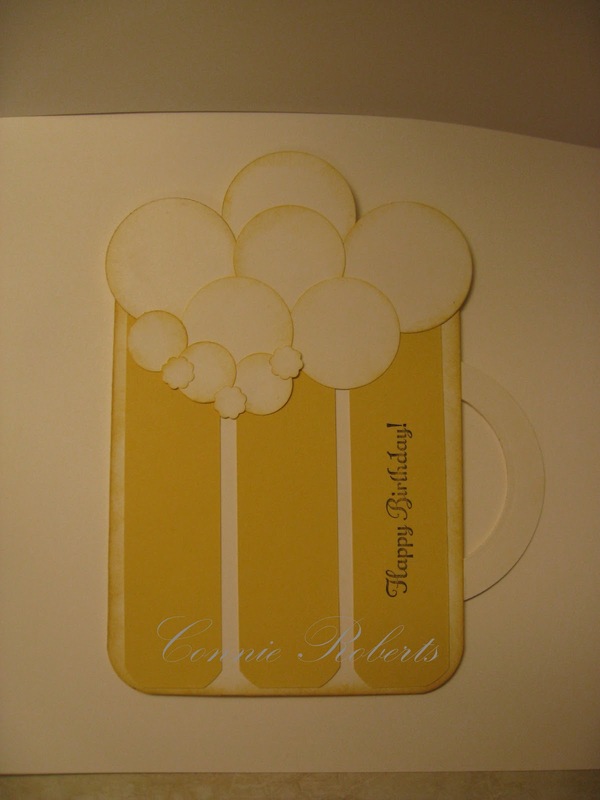 I used whiper white cardstock and so saffron. Ink used so saffron and basic black. 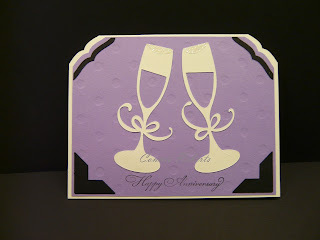 I also used nestabilities for the bigger circles and Stampin Up punches 1 3/8 and the 3/4 and the itty bitty shapes. Such a cute idea.